President Obama has sworn to veto any new sanctions imposed on Iran, stating that the likelihood of discussions collapsing will be very high if the US persists with its implementation. Obama has been encouraging both Democrats and Republicans to hold back while negotiations are still taking place. However, he reiterated that he was not suggesting that there would be any ‘war footing,’ should negotiations with Iran be unsuccessful. “When I came into office, I made a commitment that Iran would not obtain nuclear weapons, that we would do everything we could to prevent that,” Obama said. “If Iran obtained a nuclear weapon than it would trigger an arms race in the Middle East, make our job in terms of preventing the proliferation...much more difficult,” he continued. The statement comes just after the P5+1 group - the United States, Russia, China, United Kingdom, and France, plus Germany - kicked off talks with the Iranian delegation in Geneva on January 15. The P5+1 talks will continue until the end of June, as parties failed to reach a deal by the November 24 deadline. The delegations hope to reach a rough agreement by March. But expert opinion is divided on whether a deal will be reached over Iran's nuclear capabilities before the June deadline. “I will veto a bill that comes to my desk. And I will make this argument to the American people as to why I’m doing so. And I respectfully request them to hold off for a few months to see if we have the possibility of solving a big problem without resorting potentially to war. And I think that’s worth doing,” said Obama. 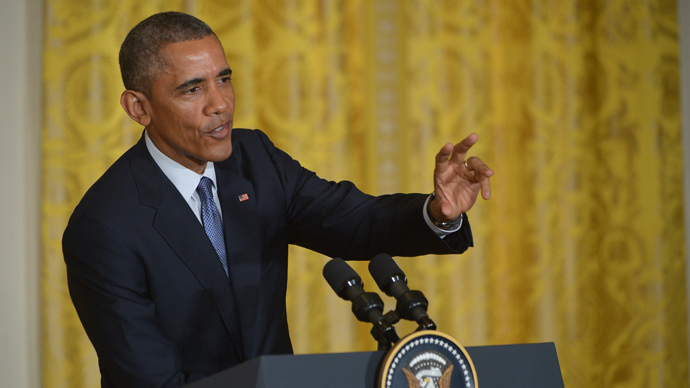 Obama has seen some severe opposition from Congress over his perceived leniency with Iran. Elections towards the end of last year placed Republicans – who have suggested increased sanction legislation – in control of the House and the Senate. British Prime Minister David Cameron has added his voice to the warnings, saying that he has personally called US senators about the issue.